Oh. my. goodness… that’s exactly what I thought when I seen this awesome collection from Joss & Main today! I absolutely adore everything! Rustic & Cowboy-Inspired Furniture & Accents make up this Home on the Range collection at Joss & Main. 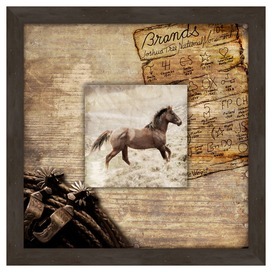 I love the downhome feel it brings to your home with the collection of Western accents. 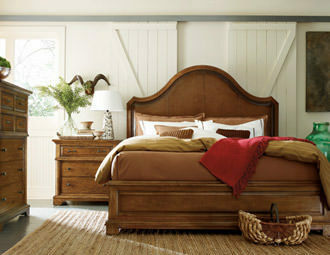 The collection includes just gorgeous pieces from handsome oak headboards, cattle-hide patchwork rugs, and artfully carved cabinets to stallion-adorned wall art, vintage English saddles, and nailhead-trimmed arm chairs, this selection of warmly weathered antiques, occasionals, and furniture brings stately allure and rustic charm to your homestead. I absolutely adore this Joshua Tree framed wall art above. I love anything to do with horses and this is so beautiful. I would LOVE to have the Chesterfield Loveseat below. 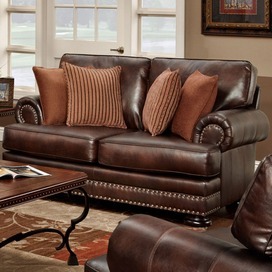 It has a luxuriously plush design wrapped in supple tobacco-hued leatherette upholstery and shimmering nailhead trim. B-e-a-u-t-i-f-u-l! Joss & Main is a premier members-only site that offers limited-time sales on the world’s best brands for your home and life. And I Love It! I can’t wait to see what sale brings each day! please enter me to win! thanks..